I recently discovered the brand Nightcap Clothing- let me tell you, I'm in love with every piece! I already have these shorts and this dress but I'm also eyeing this skirt and dress! Both items are perfect for summer, I will definitely be purchasing them for my trip to France! Nightcap is full of boho chic items that can be worn dressed up or dressed down. 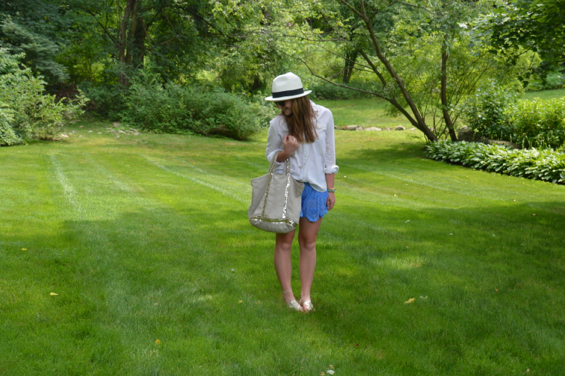 I paired the shorts with a simple white button down to make the look causal. 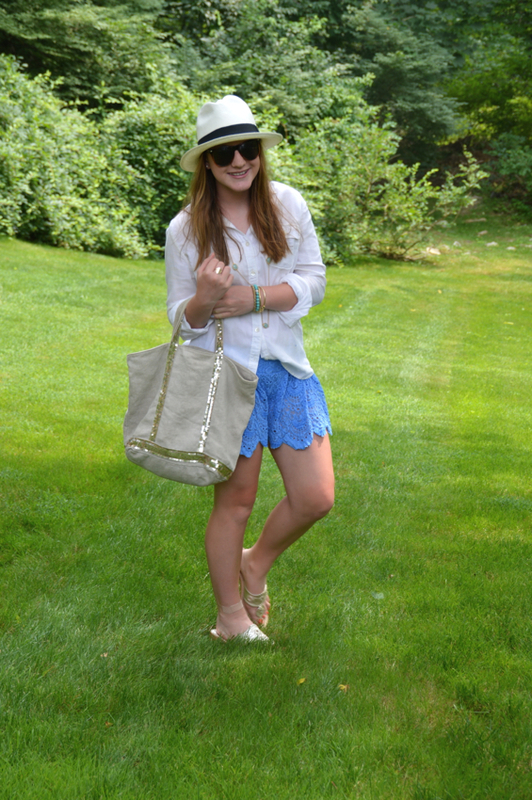 I finished the look with metallic sandals and my favorite summer bag from Vanessa Bruno. Let me know if you like Nightcap! You look so cute!! love your shorts! Love this look Sloane! I too recently purchased the panama hat, and I love it! It is the perfect accessory for summer! So cute!